Born and raised in Montreal, Quebec, Michael graduated in 1996 from Dawson College, with a degree in Mechanical Engineering Technologies. He is currently employed as a Technical Sales Representative for Cowper Inc. and specializes in pneumatic automation. Michael married his long time girlfriend Jennifer in 2001. 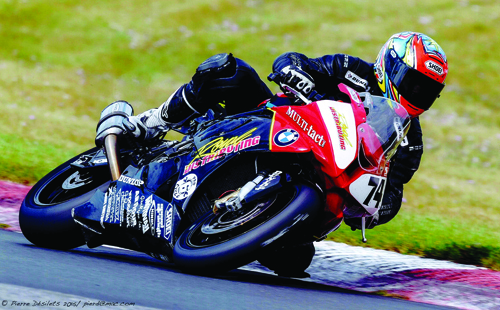 He took most of the 2002 season off from racing to recover from serious back injuries. During that time, Michael and Jennifer started a family with the arrival of daughter Jaimie. In 2006 they became proud parents to their second daughter Jayden. 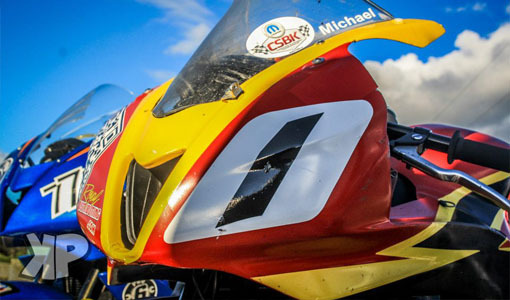 Michael began roadracing in 1994. 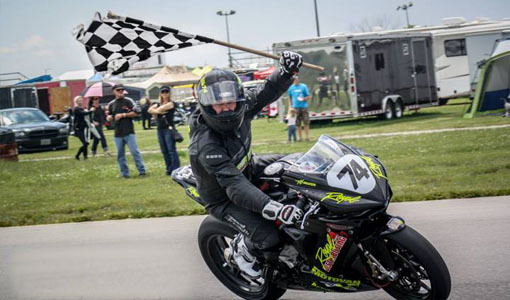 After winning multiple amateur championships, he turned pro in 1998, winning the ASM Pro 600 Championship as well as being selected Pro Rookie of the Year. 2001 was a big year. 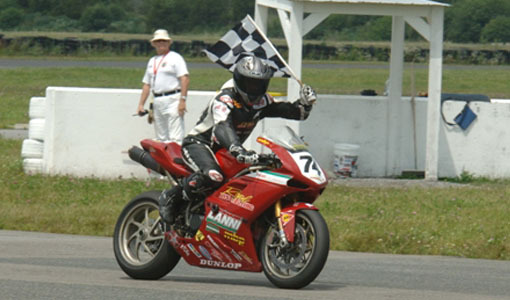 With the help of sponsor Richard Italia and friend Eddy Brunet, Diablo Performance Racing was created which would become Canada’s largest privateer effort. 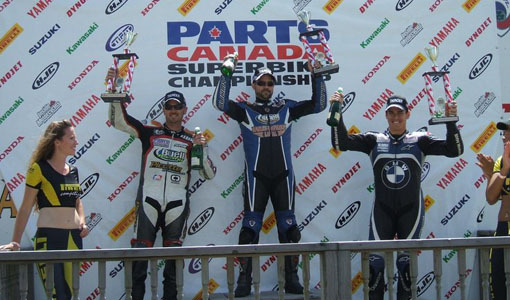 The team went on to win both the Parts Canada Pro 600 Championship with rider Steve Crevier and the Parts Canada Pro Superbike Championship with rider Francis Martin in 2005. As the Diablo team came to an end, Michael switched his focus to the National Canadian Thunder twins class. 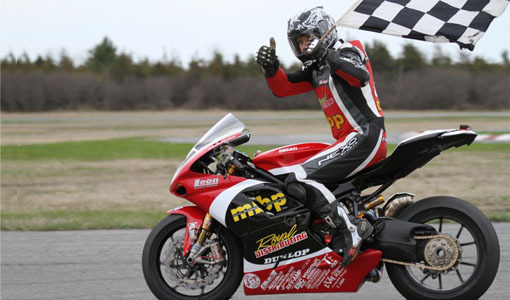 Riding a Buell he won his first National Race in Nova Scotia in 2006. 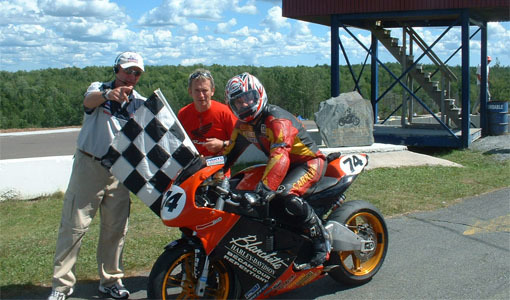 Again riding a Buell in 2007, Michael finished on the podium in 5 of 7 races, earned 1 pole position, set 1 new lap record and won at Mosport. 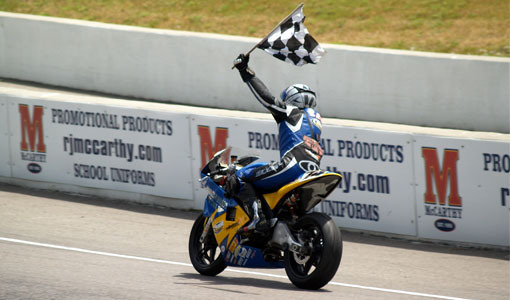 He finished a close second in the overall standings to Michael Taylor. 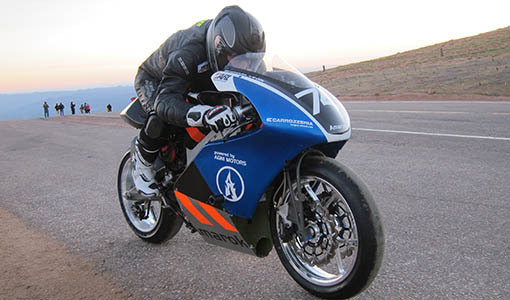 For 2008, Michael joined the new KTM factory team and helped develop the Superduke R with a best result of 2nd, in Nova Scotia. 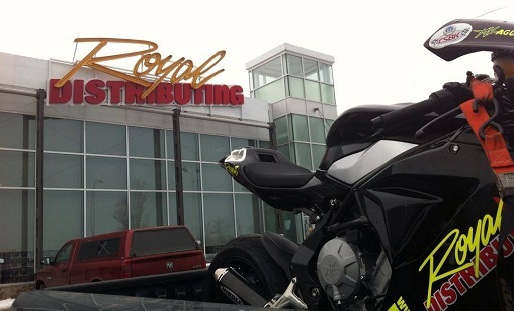 In 2009, with support from Royal Distributing and MBP, Michael formed the Royal Distributing / MBP Racing Team. 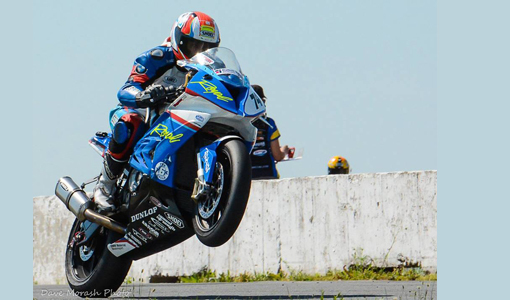 They had some succes that year winning some races and setting lap records in the Shannonville based R.A.C.E. Superseries. 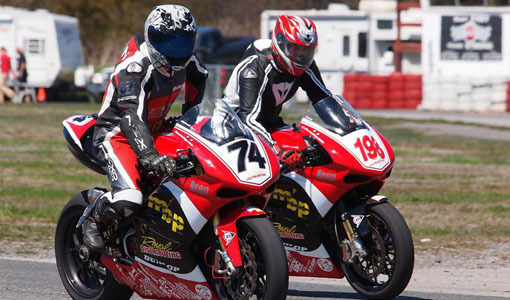 For 2010 and 2011, the team continued to race their Ducati 1198S, winning 16 races, and 3 championships at Shannonville over the 2 seasons. 2012 was a big year for Michael. 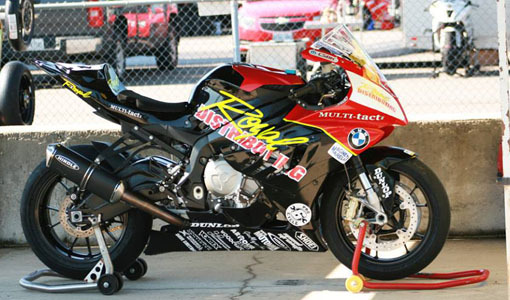 He raced a CBR600RR in the CBSK and RACE series, winning the RACE Pro Superbike Championship. The tuning was handled by long time friend Carlos Carrascosa. 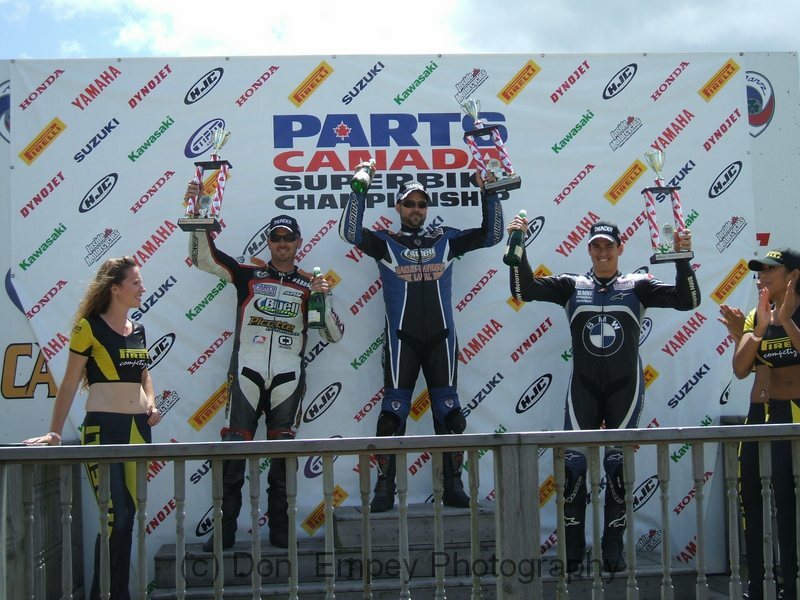 In the RACE series, the team won 2 races and had 9 podium finishes in total. 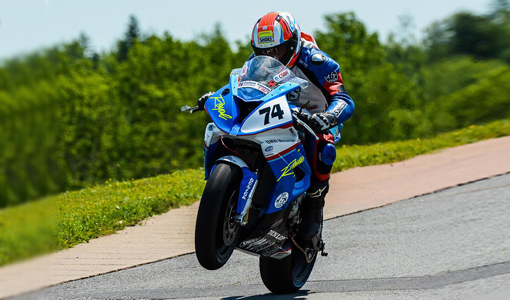 At the final CSBK event of the season, Michael was able to challenge for the podium and ended up with a 4th place finish. We hope to see you at the track! 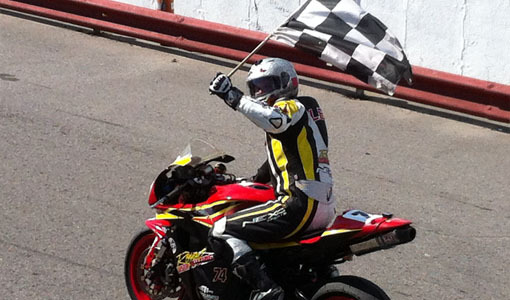 •RACE Pro Superbike Champion !! •Two Race Wins, Four 2nd Place Finishes, Three 3rd Place Finishes. 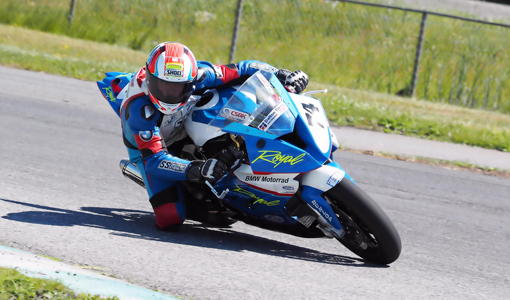 •Two 4th place finishes in CSBK Sportbike. •Six Race Wins, Two 2nd Place Finishes, Two 3rd Place Finishes. •Ten Race Wins, One 2nd Place Finish, One 3rd Place Finish. 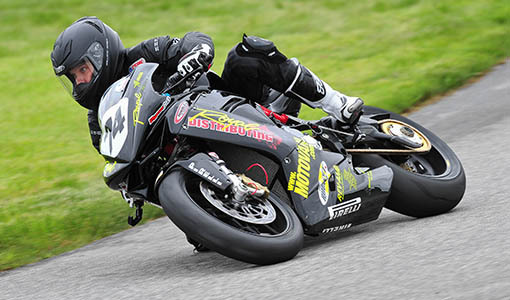 •2009 Won 4 races in the RACE Superseries and set 5 Lap Reconds riding a Ducati 1198S. 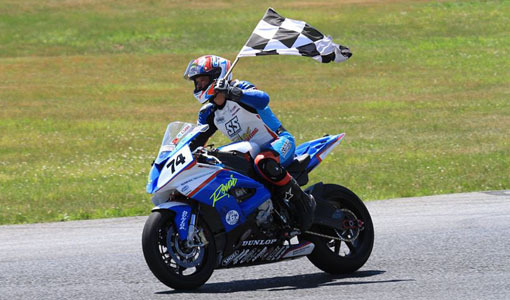 •2008 6th overall in CDN Thunder Series riding for KTM. 2nd place in Shubenacadie. •2007 2nd in CDN Thunder Series. 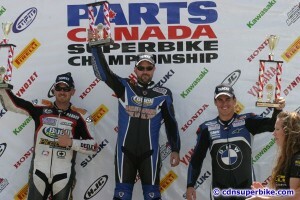 Won Mosport RD 4. 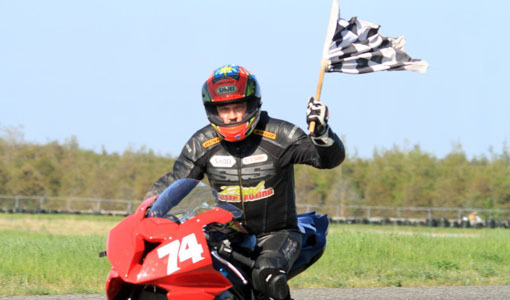 Pole Position at Shubenacadie. •2006 1 st in CDN Thunder RD 5 , Shubie. Awarded Performance of the Race at Tremblant. •2005 1st in RACE Thunder RD4. 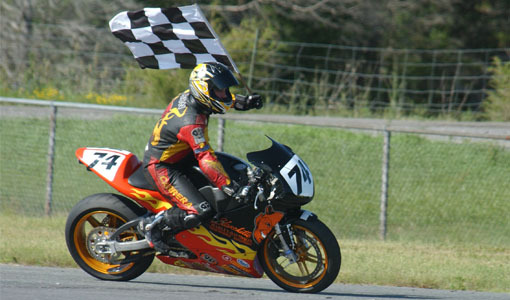 •2004 10th in CDN 600 at final, 18th in AMA Formula Extreme at Infinion Raceway. 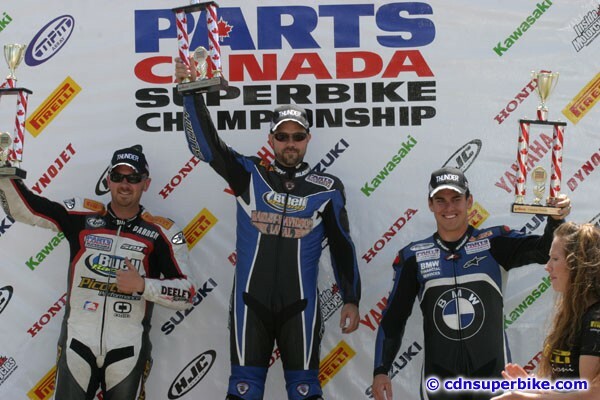 •2003 14th in CDN Superbike Champ. 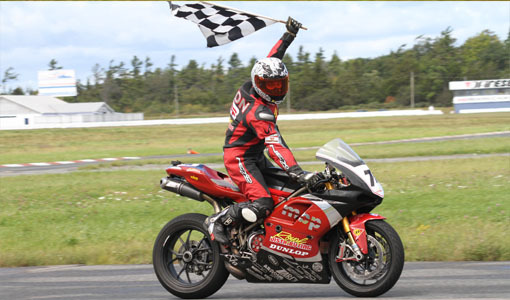 •2001 Created Diablo Perf Racing, 8th place in CDN 600 Champ, 4th at Calgary, 5th at St Eustache, 5th at Shubie.